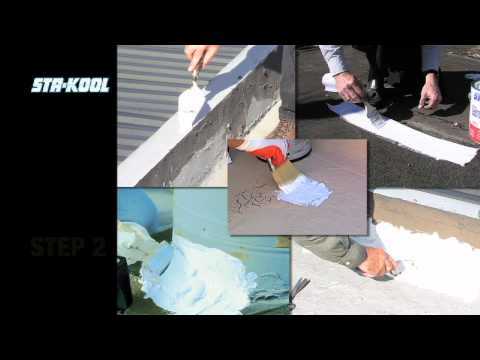 Sta-Kool® 750 White Elastomeric Roof Coating is a flexible coating that resists cracking & peeling. The coating provides protection by helping to reflect the sun's heat and UV rays. This helps to cool roof surfaces, reduce interior heat gain and lowers cooling costs*. *This product can help lower cooling costs in buildings that use air conditioning by reducing the surface temperature of the roof surface, which lowers the amount of heat gain that penetrates through the roof surface. SK-7505 5 gal 12" x 12" x 14.75"